Our long-term partner supermarket chain T-Market has once again trusted us with the creation of their advertising installations. Throughout the years, we have proven the quality and precision of our work. Thanks to the trust they have in us, T-Market chose us to brand all of their locations in order to achieve an identical look of their stores and increase their brand recognition. 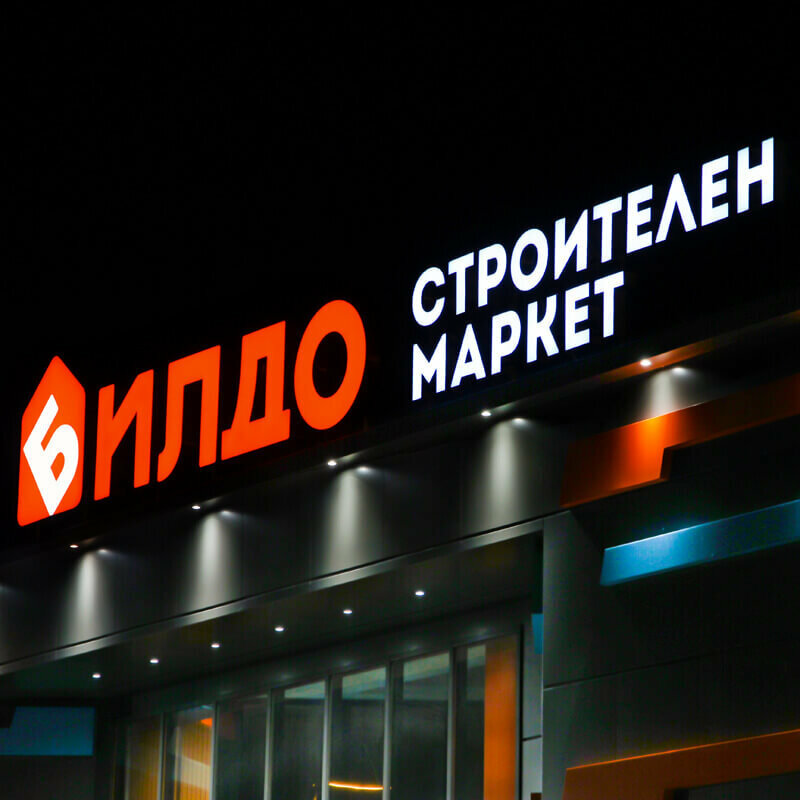 We mounted a large illuminated fabric sign on the entrance of T-Market Karlovo. The sign does not only attract the attention of passers-by but also establishes the brand on the market. We used special sign systems for the manufacture of vinyl signs. They are extremely thin and allow the banner to be stretched perfectly. The 3M Panagraphics III vinyl banner is combined with high-quality LED modules G.O.Q. LED. They guarantee the long-term illumination of the ad. The pictures, that you see, are made in October 2017, the ad was mounted in the summer of 2012. As you can see, time did not reflect on the look and the functionality of the ad. The non-illuminated sign, on the side of the store, is made from vinyl banner that is applied with the slogan of the supermarket. The thin aluminum sign system is designed for banner ads. The systems allow fast and easy switch of the advertising message, which is a very suitable way to announce sales and other short messages. In this case, the sign is used to promote the brand.